Phone in hand; thumb scrolling; double tap; repeat. Browsing through social media has become a near-habitual activity for students everywhere and the AIAS University of Kansas joins in the action. By frequenting followers’ phone screens, AIAS KU engages social media to highlight members, build community and show member appreciation. #ThrowbackThursday… #TGIF… #OOTD… #MCM… #MemberCrushMonday? 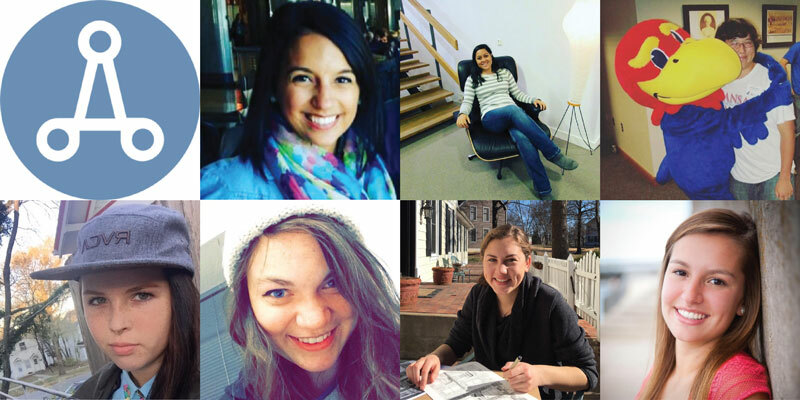 #MemberCrushMonday is an AIAS KU original outlet for celebrating membership. Every Monday, leadership identifies and features an AIAS member across all social medias using the hashtag #MemberCrushMonday. By doing so, members feel appreciated, known and recognized. In addition to the hashtag, a series of questions accompany each post. Membership value is a strong fabric of KU’s chapter. While utilizing social media is a great way to raise that value, KU also recognizes it isn’t the only medium for expressing member appreciation. In our experience, spotlighting students’ work and administering opportunities for learning and experience are also meaningful ways to show member appreciation. From the annual Welcome BBQ to the Creator’s Ball event, there are countless opportunities to network with students and alumni while celebrating the great work that our students do. Collectively within our larger school of architecture, design and planning, our goal of valuing members has often translated into a greater sense of connectedness and student-faculty relationship. In the end, AIAS initiatives, such as #MemberCrushMonday, have built a larger community while maintaining a sense of close camaraderie.